Round two of our summaries of remote Asian countries! After over 2 months through proper Central Asia (i.e. 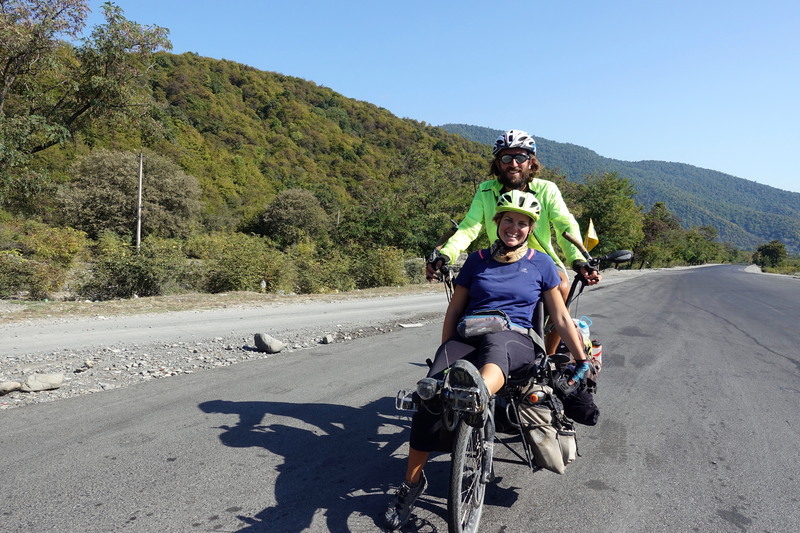 limited to ex-soviet countries), we went on across the Caspian Sea to cycle through three tiny countries, Azerbaijan, Georgia and Armenia. Those three countries have been strangled throughout history between their influential larger neighbors or simply part of larger empires: Russia in the North, Persia/Iran in the south and the Ottoman/Turks in the West have all shaped the culture and traditions. Reading a little more in detail the history of those countries, it is interesting to note that although all claiming millennia-old history and ancient roots, the three countries got defined as of today only with nationalism in the 20th century. We thus found interesting that although the three countries have had multiple wars and have tense borders, they felt somehow quite similar: food, people, towns, etc. Many parts of Georgia/Armenia/Azerbaijan were previously inhabited by some people from other ethnicities – notably Baku being mostly Armenian and Yerevan being mostly Azeri. We got particularly amazed that those tensions are still so strong and deep – Armenia still struggles with Turkey as nationalists regularly claim half of eastern Anatolia, Azerbaijan and Armenia have basically no clear border, just some barbwire, snipers and fields of landmines spread randomly (it felt, looking at the geography…) over hundreds of kilometers. Azerbaijan, although a Shia country, is closely allied with Turkey and surprisingly with Israel (yet not sharing a border with them). Armenia has close ties with Russia and Greece, although again not sharing any borders with those two countries; it is also astonishingly closer to Iran than Azerbaijan. Georgia after having tried to defeat the Russian army (and unsurprisingly failed within a few days) is doing everything imaginable to get as close as possible to the EU and the US: NATO advertisement campaigns, EU flags on every public building (even the border crossing), etc. ; again, Georgia does not share any border with the EU and the US. In short, those countries have populations who lived together for centuries, but managed to make things ugly and at the end, we felt that the loser of the story was Armenia – landlocked, and not benefiting from foreign resources like the two other countries: Georgia through EU aid and Azerbaijan through apparently unlimited oil reserves. So once again, if you haven’t read the previous posts about the three countries, check those out first. 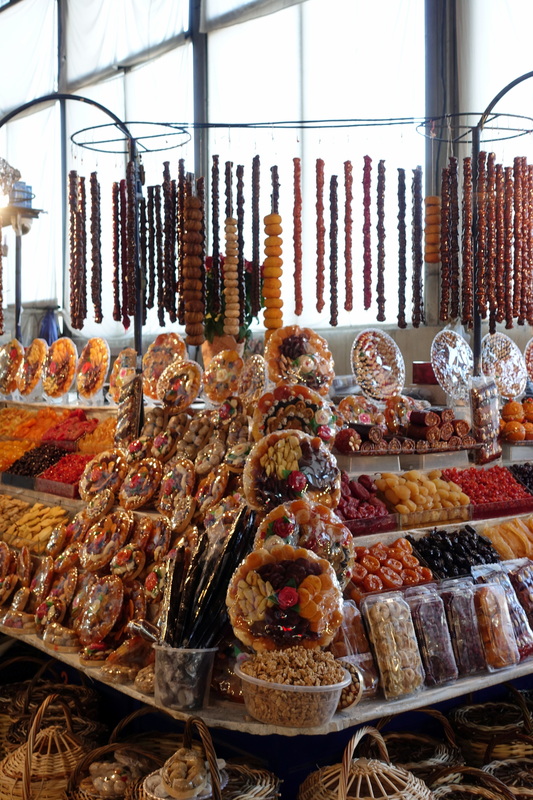 If Yerevan sounds for you like the capital of Yemen and Baku the nickname of your local confectioner, take a map first! 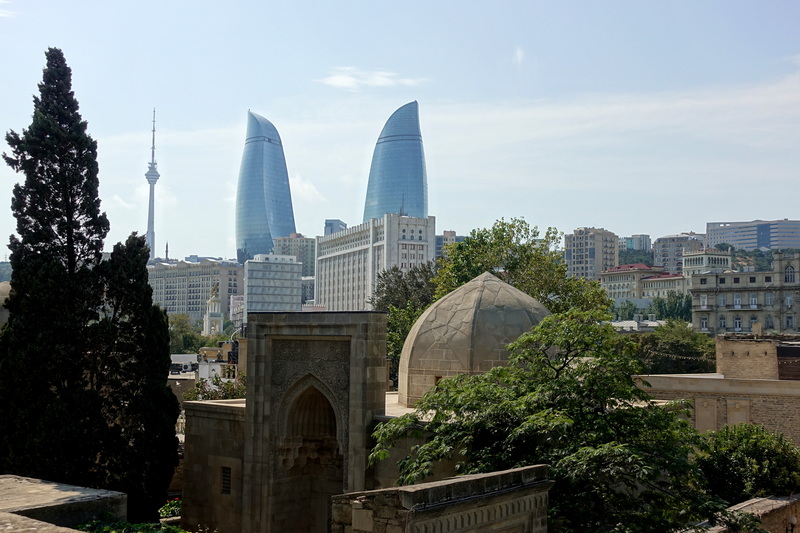 Azerbaijan: we had not read or knew much about Azerbaijan before getting there, except its history linked with oil in the 20th We got surprised to see a variety of landscapes, from desertic areas on the coast, to humid mountainous forests up north. The trees: after being in tree-less climates for the past few months, it was nice to find good shaded spots. Trees also meant that we could possibly have a more stealth camping spot (although we were always found by a shepherd). The informal tea houses. Ok, according to the Lonely Planet guide, Cassie wasn’t supposed to hang out there, because it’s understood as a male-only space (where men can feel comfortable in the presence of other men – as opposed to markets, bakeries, every restaurant… etc.). In our short bit through Azerbaijan, we found them a nice place to have our lunch and warm up. The mud volcanoes – although not a large area, this is a seriously weird landscape. Baku (downtown) is surprisingly clean and well-maintained, people in Baku feel open and liberal. Cars – Particularly in Baku. There were just so many parked and taking up space on the street, honking, speeding down the blocks, and generally making the city a bit unbearable. This trait isn’t just Baku alone, almost any sizeable town or city (everywhere we’ve been) is cramped with cars – and while on the bike, we’ve been pondering ways that could make things more bearable. Cédric has been thinking of a device that would blow-off the driver seat and make the car useless if it goes less than 10 kilometers in distance – but yes, most of the drives are clearly a few kilometers, if only a few hundred meters, and almost certainly slower than just walking. Shashlik – or any type of barbecued meat. Ever since the Caucasus, Cassie’s been trying to avoid the dish – threatening to go vegan when the trip is done. Shashlik and Kebabs are found virtually in every post-Soviet country (and now shish-kebabs in Turkey…), but when every restaurant only serves meat with lots of inedible gristle… it starts to get to you. Men (outside of downtown Baku!) – Azerbaijan was the most machismo and misogynist country we have crossed. There are just no women in the country, and idle dudes are not particularly interesting, not very friendly, and really invasive. Trash – Azerbaijan is certainly the dirtiest country we went through this year. There are trashes thrown everywhere! Nothing stinky, but plastic was found in all fields (even far from the main axis, roads, villages are covered with plastic. 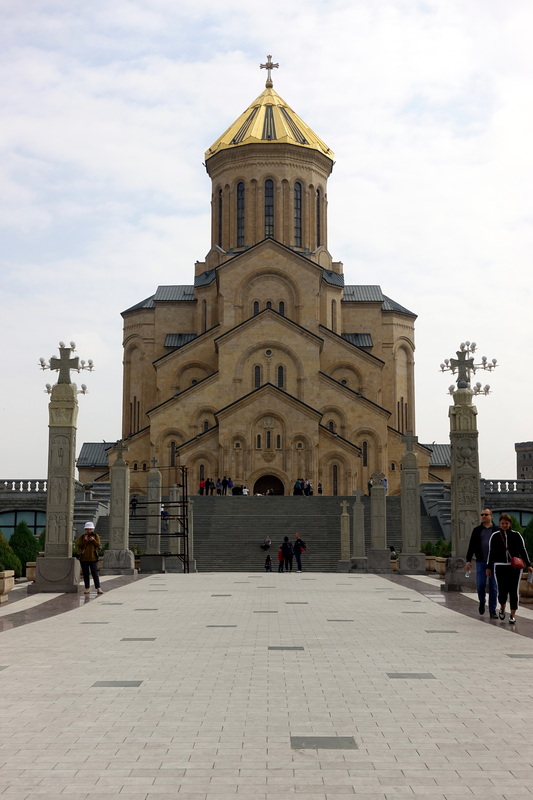 Georgia: one of the first (oldest) Christian countries, we were happy to get into a different culture (not that we particularly intended to go to mass, don’t worry! ), known for its cuisine and apparently also its wine. Cute churches – Georgia is one of the oldest Christian country in the world, and unlike in Europe where churches have been rebuilt and enlarged multiple times, Georgian churches have not changed much since they were built (sometimes in the 5th century). Churches are often on top of hills (together with small monasteries) and not necessarily in the center of the villages which make them very picturesque. Guesthouses: there are lots of guesthouses everywhere in the country for a very reasonable price. 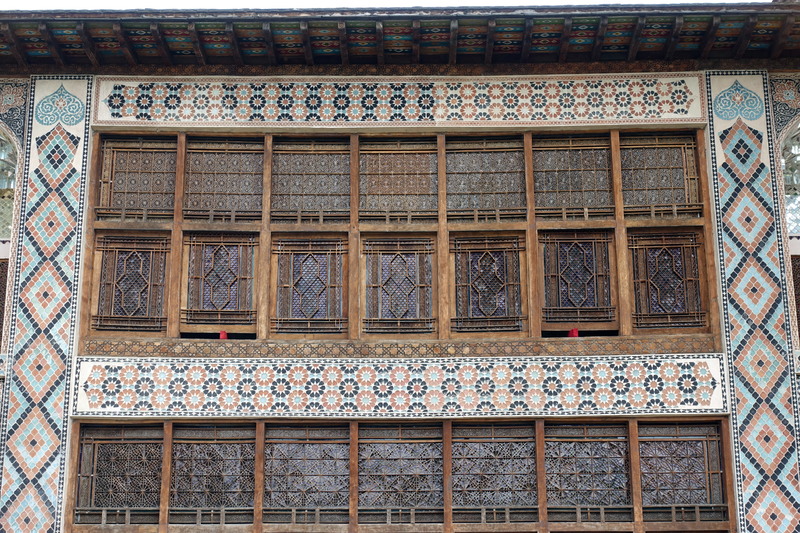 Hotels are not that great (and expensive), but all people we have met in guesthouses were really friendly (it probably also helped that we were in the low-season and went to remote towns who rarely have any guests – or went into guesthouses owned by Iranians). Georgia was the first country where we first saw books and newspapers in houses since Malaysia (honestly) – we got really surprised to find shelves of encyclopedias, dictionaries, and novels in the various guesthouses. This is also true for Armenia. Similarly, Georgia was the first country in months where using a VPN was no longer necessary to get around internet censorship (also valid for Armenia). The traffic: Georgians are the most insane drivers we have seen in any country (and not just this year). The driving is simply as fast as you can, the turns in the mountains with the hand brake, some drifts on the road, driving on the left side of the road, full-throttle all the time. And obviously almost no law enforcement. Really scary! We did not stay long in the country mostly for that reason – steering the bike means a continuous focus on any car instead of enjoying the landscape, and the safest roads felt like the busiest ones (it’s harder to drive on the left side when there are traffic jams on both sides of the road…). Aggressiveness – for whatever reason, Georgians are a little rough and nervous. They want to get to the fist immediately for some complete non-sense (we had a guy who wanted to show his strength because I warned him that he was backing-up his Mercedes into our pedals – he would have probably preferred a long scratch on his car… but again, it helps to be a head taller than Georgians (and looking a little rugged with chaotic beard and questionably clean clothes! The consumption of wine does not seem to help much… You combine the aggressiveness with their driving style and you get people yelling and honking at disabled or older people while they cross the street on the crosswalks a few meters away. It is ranging from boorishness, crudeness, intolerance, or just stupidity. The wine (sorry, because it seems like the national pride!) – okay, we are not experts in wine, and the wine in Georgia is better than Kyrgyz wine (a mix of grape-juice and vodka!) but compared with its supposed reputation…well it tastes better after multiple glasses (guesthouses are happily continuously refilling your glass, and you cannot drink water with dinner)! 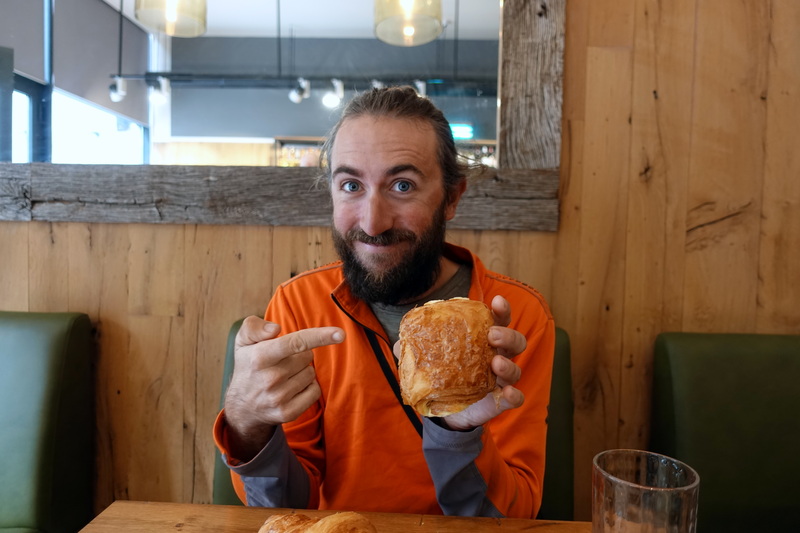 This is a look of pure joy – one day after saying he desperately wanted a chocolatine, Cédric’s wish came true! 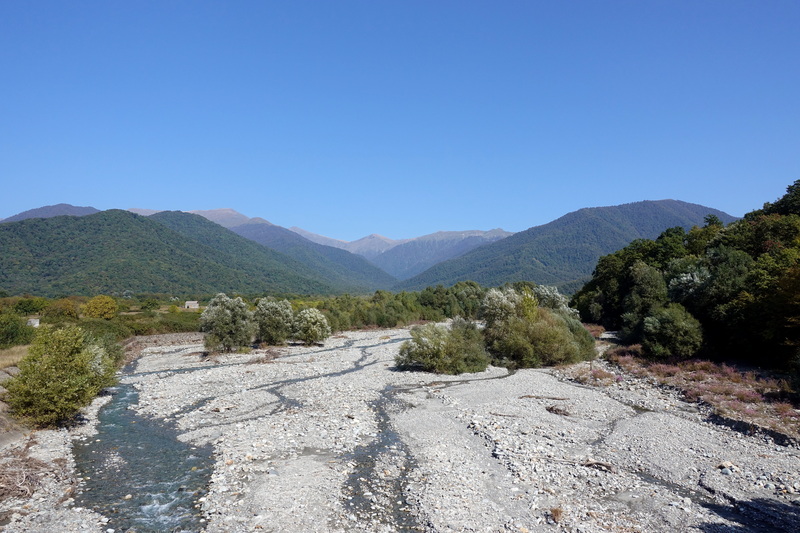 The main range of the Caucasus, between Georgia and Russia. This range actually beats the Alps in height (the Elbrus at 5640m would make the Mt Blanc look like a dwarf). 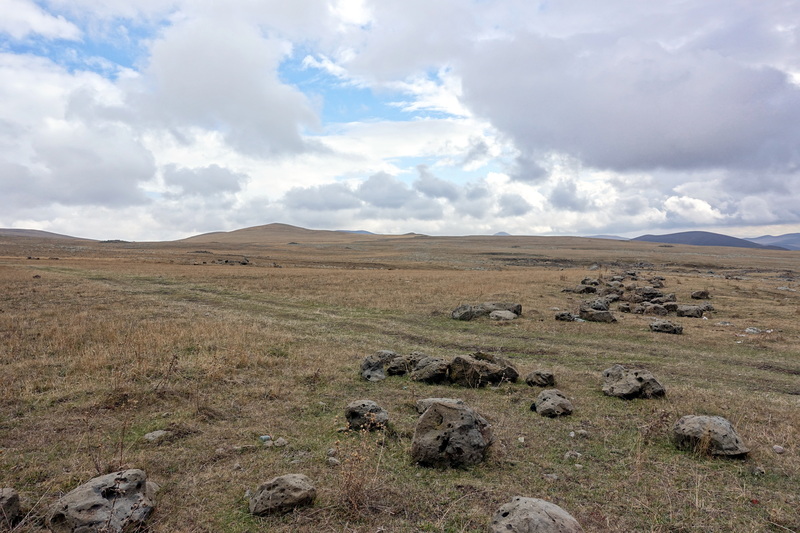 Armenia: An even older Christian country – supposedly the oldest – although just like Georgia, the borders of Armenia have significantly moved over time. 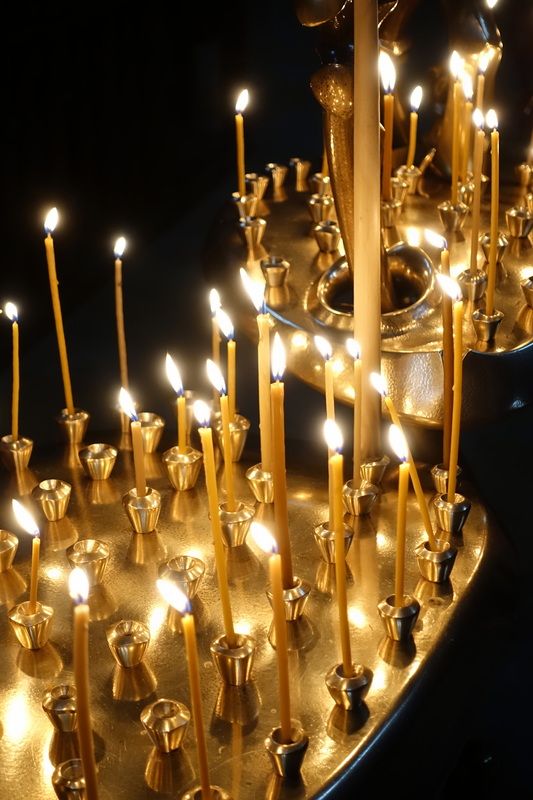 Armenians are also Christian Orthodox, but not the same Orthodox as the Georgians: Armenian are somehow more “ancient orthodox” – closer to Ethiopians and Copts – whereas Georgians are more “Byzantine orthodox” – closer to Russia and Greece. We tried to figure out the difference, I doubt many people understand it: something about miaphysitism versus monophysitism, good luck explaining that to us! Armenia was one of the most industrial country of the USSR but managed to get into nasty relations with its two largest neighbors, got itself stuck and mostly ignored as just small land in the Caucasus. Compared with Georgia, it was surprising to be in a much more chilled atmosphere right after the border. Car drivers are a lot more relaxed, not much honking, no aggressivity. A big relief! A very mountainous landscape. It does not go up as high as Georgia, but valleys are also narrower and more remote, implying a lot more up and downs for us cycling. While we mostly followed larger valleys in Georgia, we went from one to another in Armenia. Thus, more variety of landscapes and changes of views during the day. 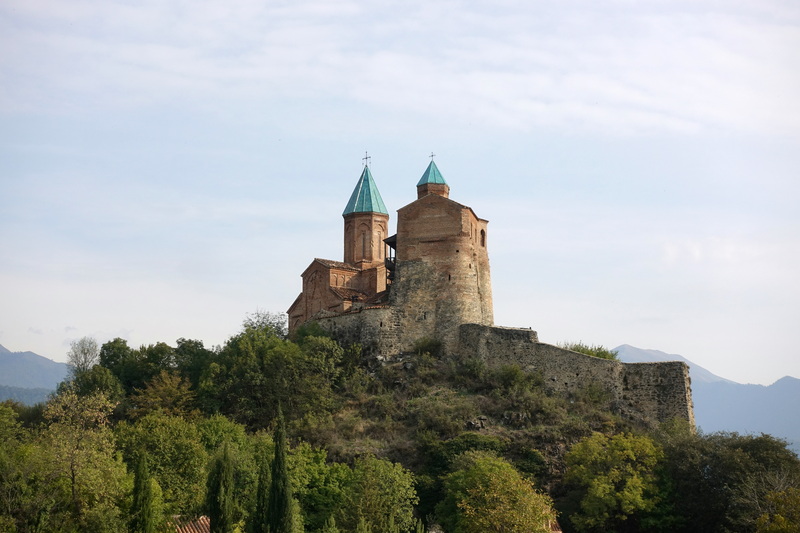 More historical towns – Armenia felt like the country of the Caucasus with more traditional villages, most historical relevance, some ancient castles (really old, not the plaster Potemkin castle decors of Azerbaijan, and overall a very old presence of humans in the area. Forget about the history of Yerevan though. A lot of industrial wasteland – remains of the USSR, particularly around Yerevan. The 50km around Yerevan offer a weird sight of huge abandoned factories, and if still functioning, in a state of disrepair. The nuclear plant (near the Turkish border – they don’t like each other) is notoriously unsafe and there are warnings on traveler advise websites to regularly make sure that nothing goes wrong there (!). The brandy (locally renamed Armenian-Cognac) – like the Georgian wine, a national pride, but urgh bah (we’re also not liquor drinkers, beer please)! We bought the smallest possible bottle (at Carrefour!) and had to buy an additional 2l of Fanta quickly after to drink it. It tastes okay while mixed 10:1. The tensions with Azerbaijan – we admit that we had not paid much attention of the local geopolitical situation. Well, this is very tense there! Some regular fights, snipers regularly having fun, landmines on the ceasefire line, and just hate towards Azeris (Azeris hate Armenians just as much). 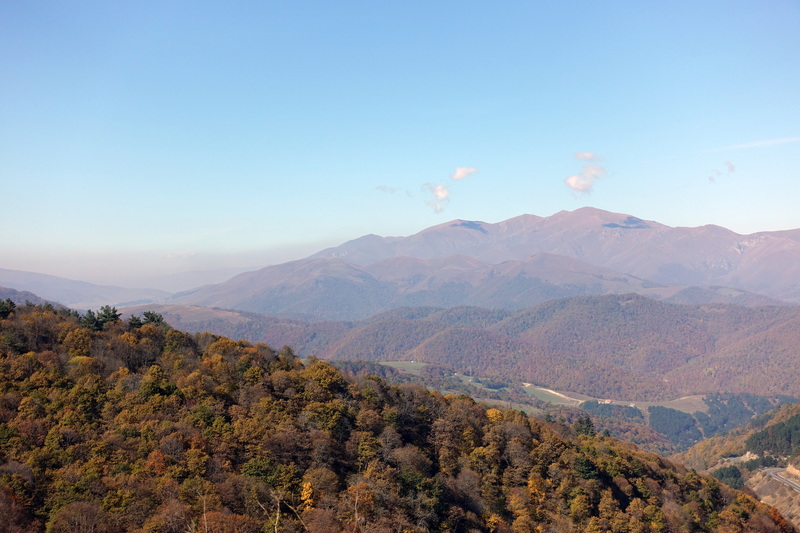 After some reading, and because the locals seemed to exaggerate a little, it seems that the responsibilities are far from being one-sided – also similar to the situation between Georgia and Russia. If you stick to the paved roads, it remains safe though – but it might have been wiser to monitor the situation beforehand. 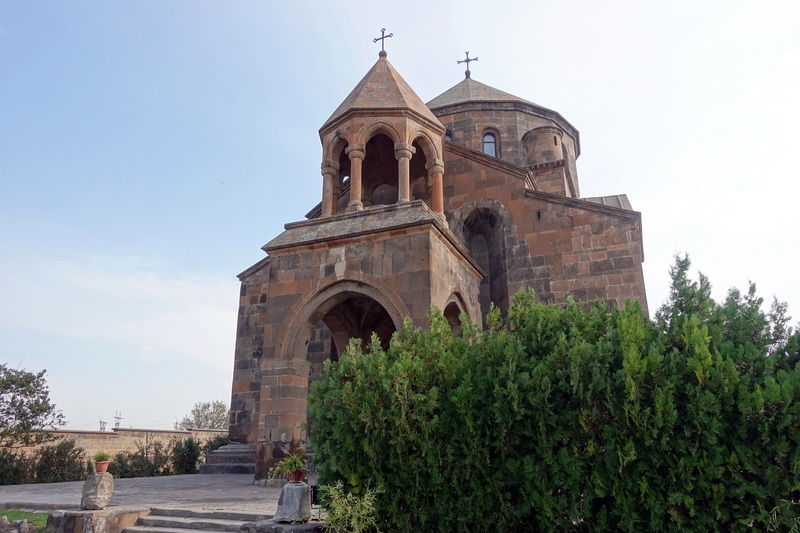 One of the churches listed in the Vagharshapat UNESCO heritage site. Going uphill towards Lake Sevan. 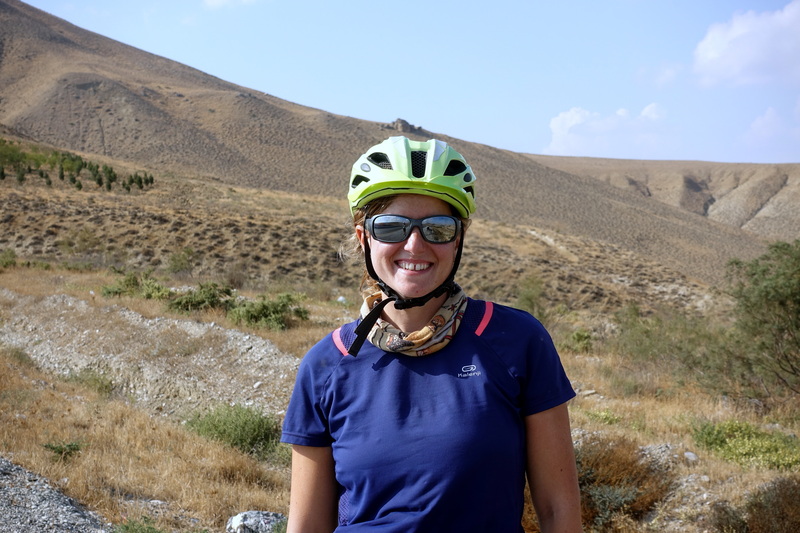 Armenia had a lot of wild sceneries, and peaceful (though strenuous) rides.